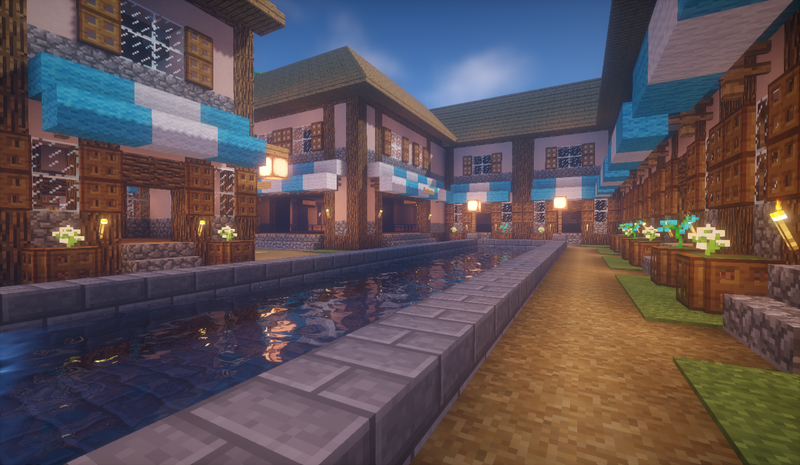 The Market Place is where you can buy and sell items from stores owned by other server members. The Market Place is in spawn, and you can get there using /warp trade. The cost of a Market Place store is $1,000. You must use Chest Shops to sell/buy items. You can't change the existing structure of the shop. You may remove the internal floor and stairs if you want. You may add items/blocks to the inside of the shop to make it your own.